Lens manufacturers for eyeglasses and sunglasses depend on NCCAS in their optical labs worldwide. Our ophthalmic automation systems and the value-added services we provide as part of our proven turnkey process promote efficiency, save space, and improve OEE for optical labs across North America and around the globe. NCCAS has been in business for more than 30 years. We pride ourselves on being employee-owned, so we are consistently working for the good of our clients in innovative and creative ways. Our team focused on optical lab automation systems is no different, and works to bring the latest technology to each of our optical lab customers to help our customers improve product control, efficiency, and throughput. Our devices are evolving to be faster, smaller, and more cost-effective for our partners as well. We assist our optical lab clients with designing the right automation process for their needs and goals, then engineering the right equipment for their automation process. While we go to market through Satisloh, our partner in optical lab automation, our open platform can support integration with any lens processing equipment solution. If we don’t see one that works for your exact needs, we will design and build it ourselves to ensure you are pleased with the results. Our specialized conveyors and equipment are built to help optical labs control their product and improve OEE using the latest technology. We see the project through to the end to ensure that goal is met. With more than 15 years’ experience focusing on improving performance in both new and existing optical labs, NCCAS has the knowledge, foresight, and project planning ability to take on your optical labs project, no matter the size. NCCAS has dedicated itself to the optical market in North America and beyond and is a preferred provider for many major optical labs around the world. Our open platform that can easily be integrated with any equipment on the market, and we truly specialize in ophthalmic automation. Whether our optical lab clients have an existing line that needs replacement conveyors and controls, or needs an entirely new lab designed, procured and commissioned, we’re able to assist. 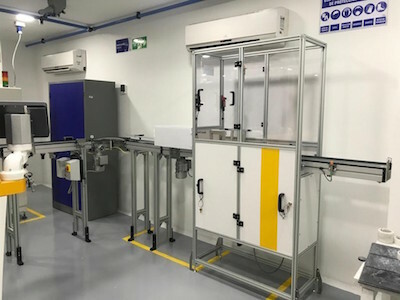 EQUIPMENT SPECIALIZED FOR OPTICAL LABS: We have the largest "toolbox" of optical tray handling solutions in the industry, including our own Glide-Line brand that is the world's quietest optical conveyor. All our equipment is specially designed for use in optical labs. SATISLOH PARTNERSHIP: We've completed over 500 jobs with a number of ophthalmic labs during our fifteen years of partnership with Satisloh. 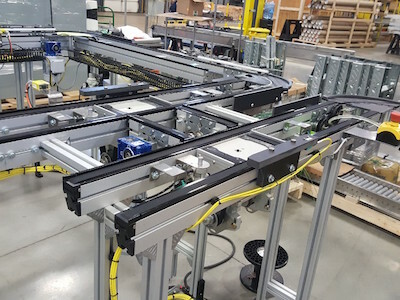 Our conveyor systems are compatible with the Satisloh Lab 4.0 MES platform or the Lab’s LMS for tray routing. The conveyor system can also be easily upgraded to function with the MES after start-up. PRECISION CONTROL: NCCAS's proven software system is specifically designed for routing optical trays in a controlled and precise way. 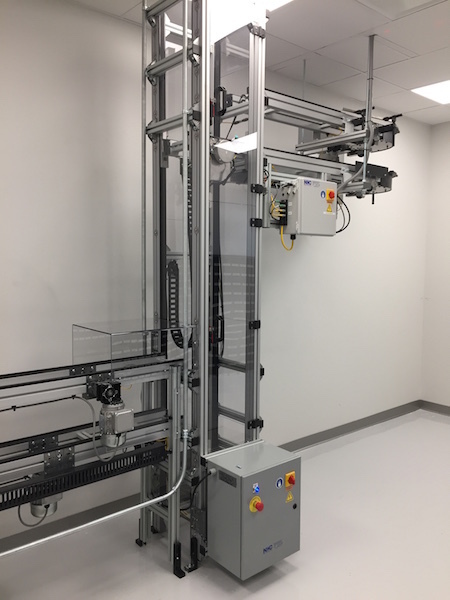 FAST INSTALLATION: Since we build, wire, debug, and test prior to shipment, we can install and start-up your optical lab's automation system in record time. MINIMIZE DOWNTIME: We have the trained staff available to service a breakdown and can immediately courier parts to your optical lab if needed to minimize downtime. EXPERT OPERATOR TRAINING: We train your operators and maintenance staff to know what they need to do to recover quickly.